Fight.Win.NowLive: On break and catching up! On break and catching up! Hello all! It's been a couple months since I last wrote, please excuse me, but when in school I feel like that's all I do! I keep telling myself to write in my blog, but I tend to just look at my mountain of school notes instead. Mom is doing great! She has finished her 1st round of 3 chemo treatments. She handled them like a champ (she may not agree) but like anyone going through chemo she did have her ups and downs. The one symptom she complains about the most is the lack of energy. If you know my Mom she's one that likes to say busy but she keeps running out of steam! It's no wonder that happens when your immune system gets kicked to the curb! She's a trooper though and keeps marching on. This week she is getting scanned and such to begin radiation next week. 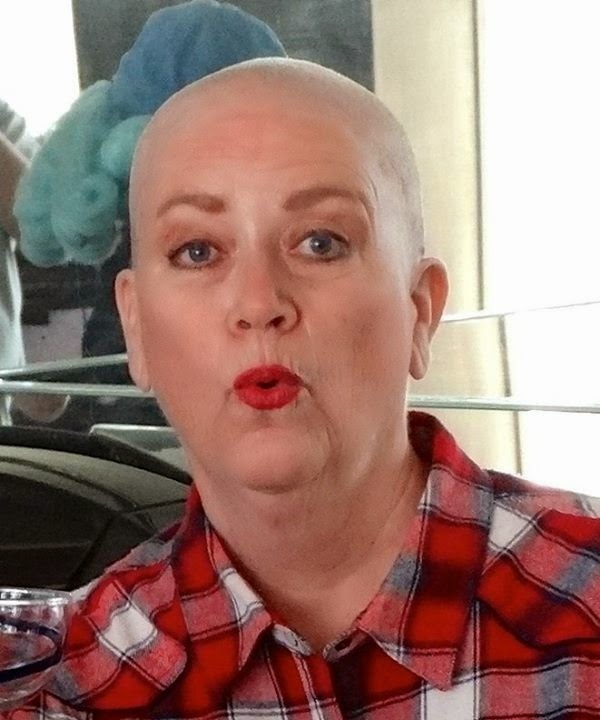 She will go through 6-7 weeks of radiation and then she will have a final 3 rounds of chemo and hopefully this nightmare will be over FOR GOOD. Please continue to keep her and my family in your thoughts. Right now I am on break and although it began with a bout of a stomach bug, I am happy to report I am feeling better and enjoying my time off. I have spent more hours on the couch these past few days than I did all last quarter. I am 4/4 on naps and it's a great feeling to wake up and having nothing to do! That's the update from here. I hope you all are enjoying the beginning of Spring! I feel like we had no winter and have an extended Spring here in AZ! 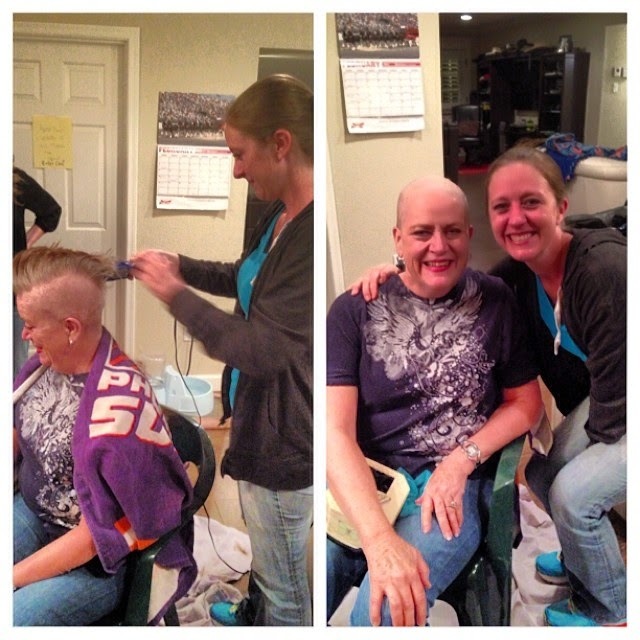 Here are some pics of my amazing Mom as she lost her hair (and yes it was hard watching her go through that! )...but isn't she beautiful? !